I’ve officially arrived in the kitchen. 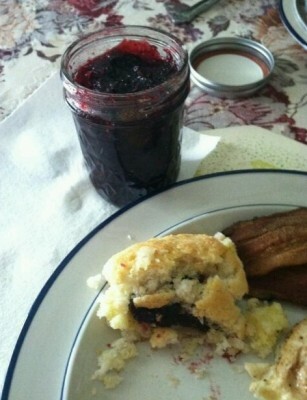 I made jam. JAM, I tell you! Successfully, and on my first try at that. If I do say so myself, I was pretty impressed. 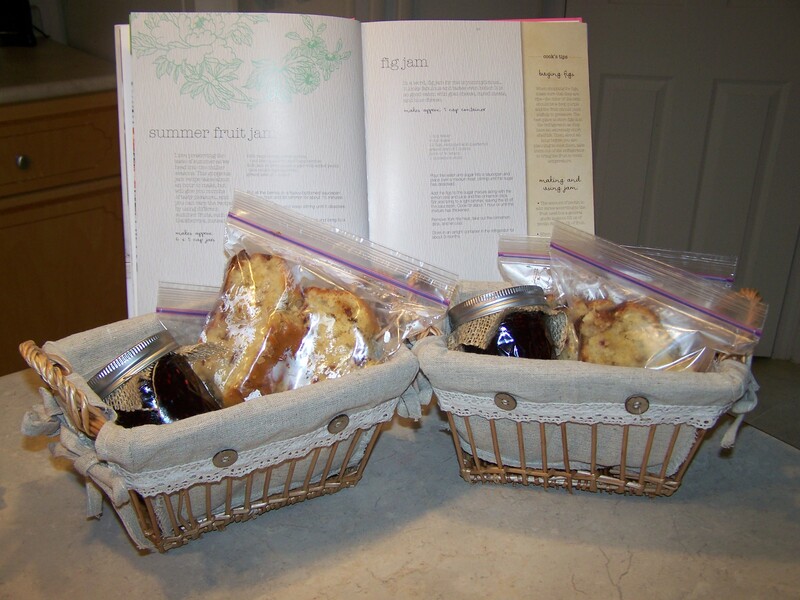 Making jam has always seemed like an arduous process that I never wanted to conquer, but with a little time and determination, the Summer Fruit Jam recipe from my cookbook, Homemade gave my Mother’s Day gift baskets just the right touch. Take away? Never let over complicated directions or words like sterilize intimidate you in the kitchen or squelch your efforts. Use a big stock pot. Bring the berries to a simmer and let them cook for about 15 minutes. To the berry mixture, you’ll add the zest of 1 lemon and depending on your quantities, sugar and 1 package of pectin. I added four cups of sugar to about 3 1/2 cups of fruit. 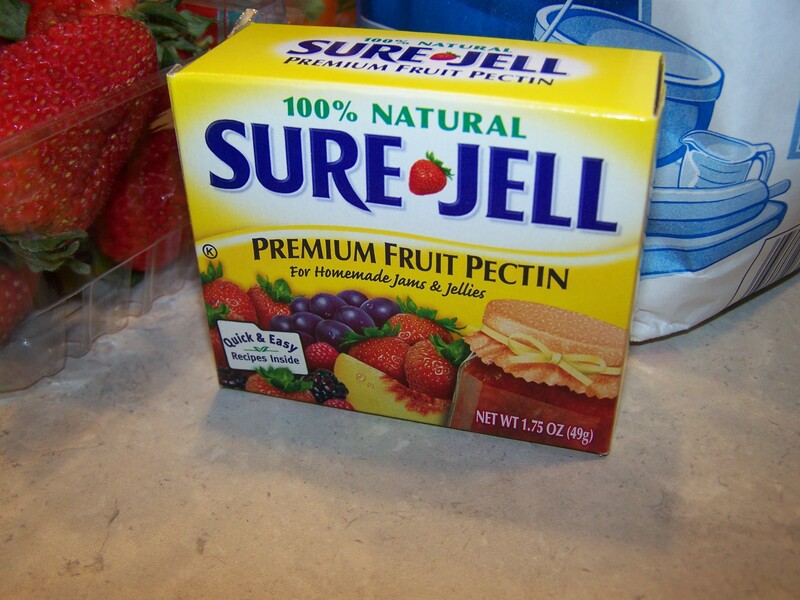 This is pectin. You can find it on the baking aisle in the grocery store, usually near the Jell-O. This is what gives the jam that firm, squiggly texture–a must in any jam or jelly recipe. 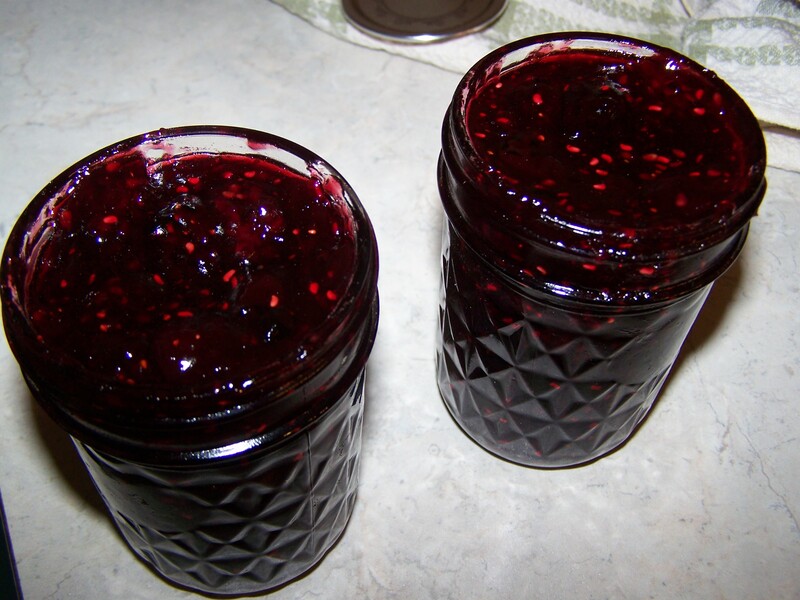 Once the jam has simmered over medium heat for one hour, it’s ready to be jarred. Wash your jars and lids with dish detergent and hot water and be sure to dry them real good. Then fill them up, seal and let cool. 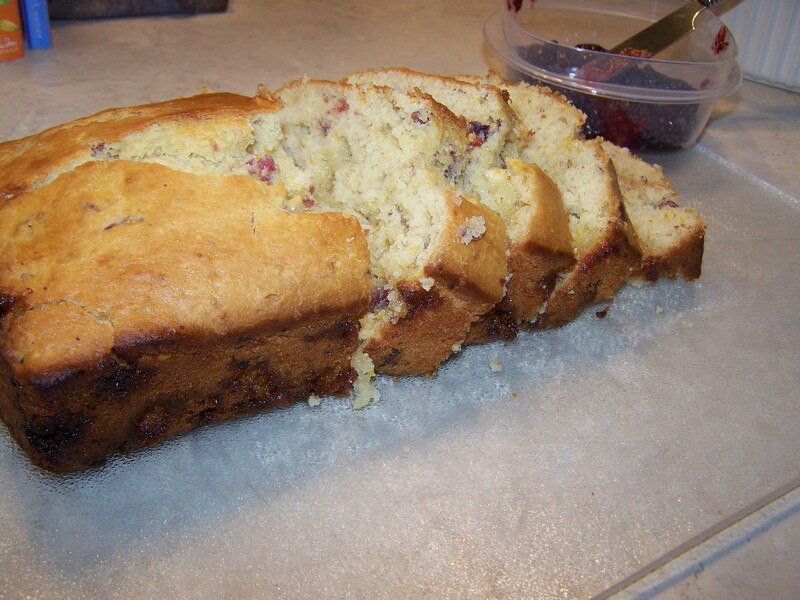 While my jam was simmering on the stove, I whipped up this cranberry-orange quick bread and added some white chocolate chips and the zest of an orange to bring out that citrus flavor. Jam & bread–some things are simply better together. 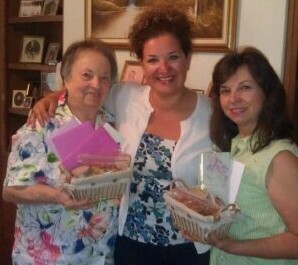 Pictured above: My grandma Dot (left), me (center) and mama (right). One of the most rewarding parts of cooking is sharing it with the ones you love and it’s a great feeling to give back to the ones who’ve always fed me well. Three generations…I learned from the best. love it! and the baskets are so cute! Thanks Ritz! The baskets were perfect…picked those up at Hobby Lobby. I LOVE your blog! 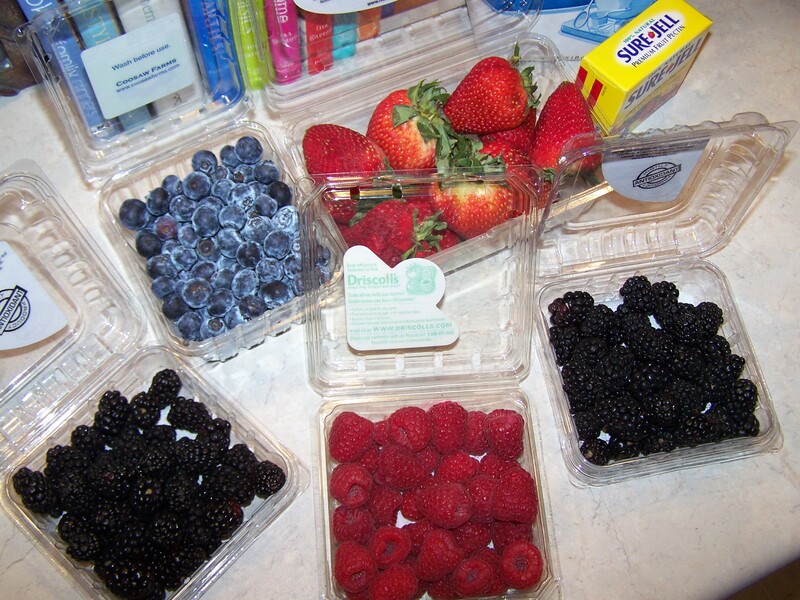 Kevin and I were planning on making Jam or preserves soon with the berries we will get at the farmer’s market. This is so encouraging to see that you were able to do it so well the first time. You are so great with words! Keep it up girlie! Aw, thanks Janna! I’m so glad you are encouraged. 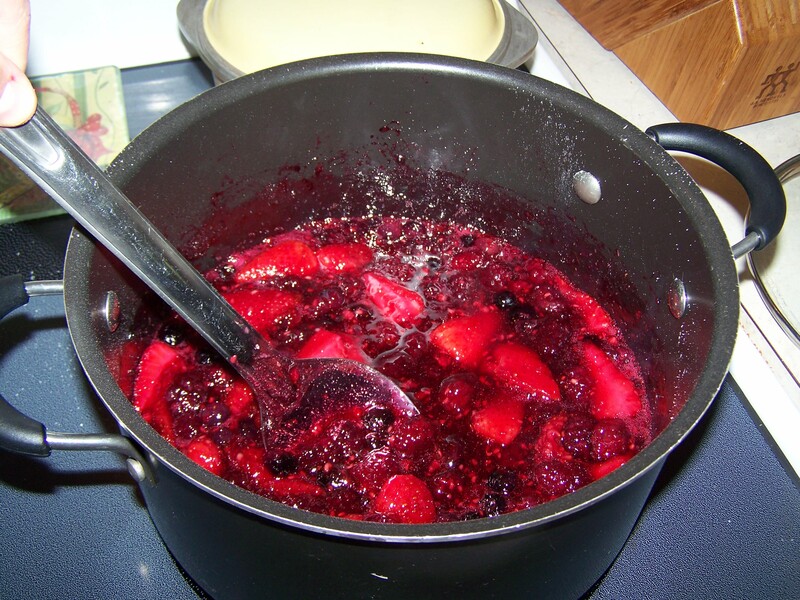 Everything I’ve ever heard about making jam seemed over complicated and rigorous. I found it to be no more difficult than baking a cake. Let me know how yours turns out!